Sequels – Better Than the Originals? In the movie world, sequels are often a let down from the original, but when it comes to technology, second generation devices usually improve on the ones that came before. This can definitely be said about the newest additions to the ReSound Unite wireless accessories line: the Remote Control 2 and the Unite TV Streamer 2. The originals were good, but these “sequels” are better. The Unite Phone Clip+ transmits the phone conversation via proprietary 2.4 GHz wireless technology directly to both hearing instruments, allowing for better speech understanding on the phone due to binaural listening advantages. 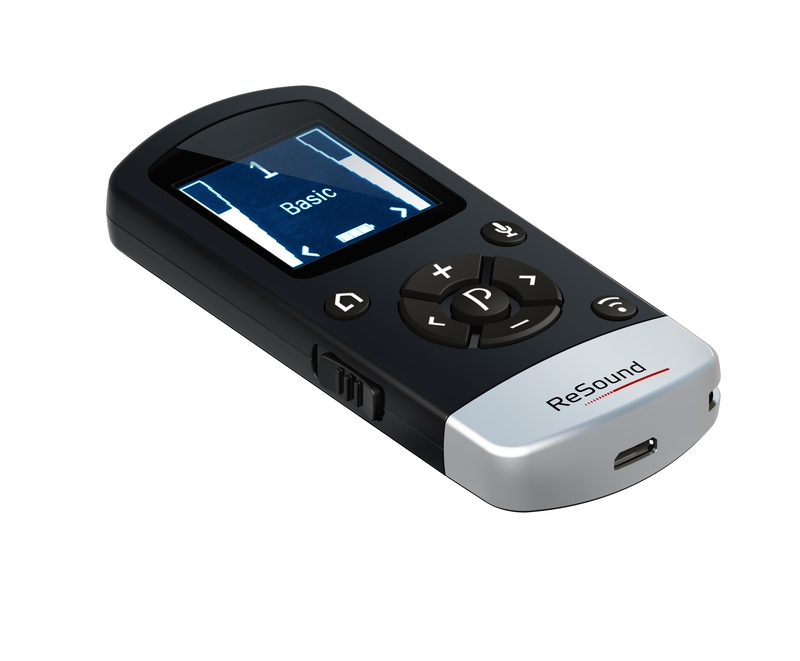 In addition, the Phone Clip+ allows for stereo streaming of audio from the mobile phone to the hearing aids. With the Unite Remote Control 2, the wireless connection has been strengthened by moving the antenna to the top of the device, which allows for a more robust signal as it is held it in the hand. An ON/OFF switch has been added, and greater tactility is provided by the new buttons. The display screen has a longer backlit time. Users can alter the balance between direct streamed sound and environmental (hearing instrument microphone) sound when in a streaming program. In circumstances where users would like to turn their hearing instruments off – for example, in a noisy area – a mute button is included. Finally, the Unite Remote Control 2 is powered by a rechargeable Li-ion battery, allowing for charging via the universal ReSound wall charger or a USB port connection. No more buying batteries for this accessory! Changes to the Unite TV Streamer were made primarily to accommodate the changing demands of consumer electronics today. Many new televisions, for example, do not have RCA (analog) outputs, offering instead digital outputs only. To meet this growing need, the Unite TV Streamer 2 includes connectors for digital audio (coax) and optical (toslink) signals. Instead of the RCA phono connectors, a standard 3.5 mm mini stereo jack is provided. The stand is integrated with the accessory, allowing for a smaller design. The Unite TV Streamer 2 includes a Dolby Digital decoder to downmix a 5.1 type signal to a stereo signal, which may be necessary for stereo streaming when the TV outputs are designed specifically for a surround-sound receiver. This advancement prevents users from having to purchase and install a Dolby Digital decoder if their entertainment systems do not have appropriate format choices. The integration of the Dolby Digital decoder in the Unite TV Streamer 2 is unique in the hearing instrument industry. Read the full “Sequels: Better Than the Originals?” article. This entry was posted in Company News, Wireless and tagged ReSound Unite. Bookmark the permalink. 2 Responses to Sequels – Better Than the Originals?